Over the past few years the 70:20:10 model for development has captured the imagination of organisations across the world. Some organisations apply 70:20:10 principles to targeted and specific development solutions. Others use it more strategically as a way to help them rethink and reposition their wider learning philosophies. 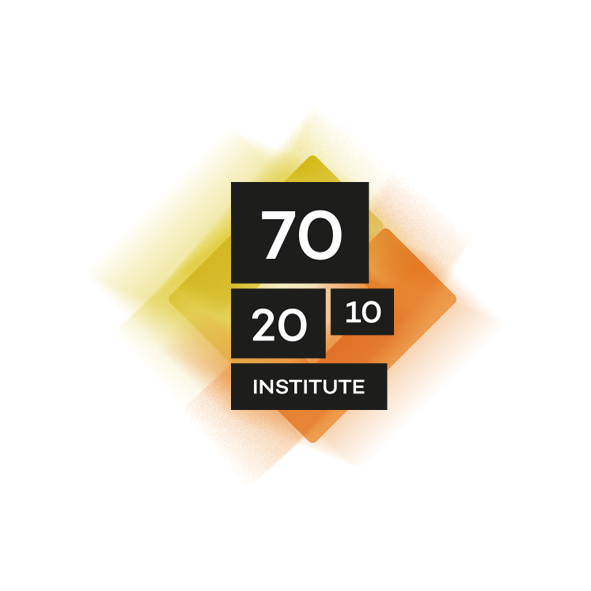 The 70:20:10 framework is a simple concept that has developed from work carried out by various researchers over the past half-century that suggests a one-dimensional focus on structured training and development – a rut that many organisations had fallen into – misses the opportunity to exploit learning and development where most of it happens, which is within the workflow. It’s important to be aware that 70:20:10 is a reference model and not a recipe. The numbers are not a rigid formula. They simply remind us of the facts above – that the majority of learning and development comes through experiential and social learning in the workplace (the ‘70’ and ‘20’) rather than through formal classes and courses (the ‘10’). Of course structured and directed ‘formal’ learning can help, but it rarely, if ever, provides the complete answer. If you acknowledge that high performers usually build their capabilities through experience, through practice and through utilising a rich network of support rather than exclusively (or even mainly) through structured training and development away from the workplace, then you will immediately grasp the 70:20:10 concept. Why Have So Many Organisations Adopted 70:20:10? One answer to this question lies in the fact that 70:20:10 offers an easily-understood scaffolding that can be readily adapted to re-focus development across a much wider canvas than that traditionally used by HR and Learning professionals. It’s important because research over the past 40 years at least has indicated that learning that occurs outside of formal classes and courses is not only more frequent but also generally more effective than its structured and ‘managed’ counterpart. It’s also important because the 70:20:10 framework provides a way to integrate currently disparate development activities – such as leadership programmes, informal coaching and mentoring, and the extraction of learning from work through conversations, communities, sharing, reflective practice and other actions. It also provides a coherent framework to strategise workplace, social and structured learning activities. Although the 70:20:10 framework applies to all adult learning, it is particularly relevant when thinking about building a strategy to develop and support high performers. Most organisations aspire to further develop their high performers, and to develop others to become high performers, as it is the high performing cadre that drives successful organisations. Research by the Corporate Executive Board suggests that ‘enterprise contributors’ (as it calls the small cadre of high performers) can increase organisational revenue and profits by as much as 12%. That often means the difference between success and failure. High performers have usually quickly mastered the basics. This was achieved often, but not always, using structured development approaches. This is where the ‘10’ of formal learning and development through courses and programmes can help people new to an organisation or role get ‘up-to-speed’ quickly and efficiently. They have spent hundreds of hours using practice, trial-and-error, and self-testing to hone their capabilities. They are embedded in their professional community both within and outside their organisation. They regularly share their expertise across their network and also call on colleagues as informal coaches and mentors when they need advice and help. They have on-the-job performance support at fingertips. They know where to find the answers to the challenge-at-hand, whether it is via their own PKM (personal knowledge management) resources or simply by knowing who will be best able to help them.